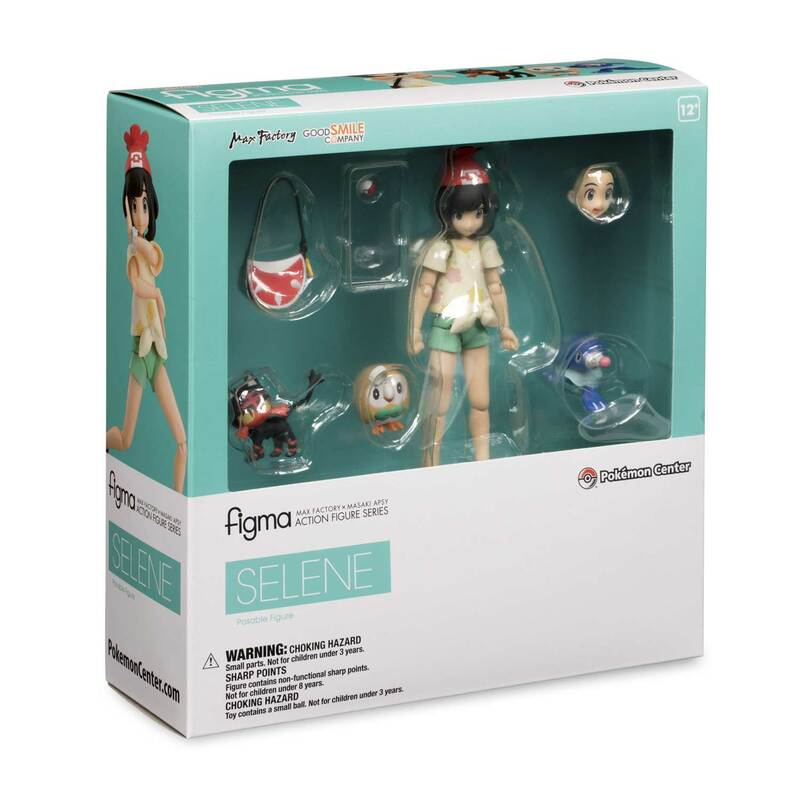 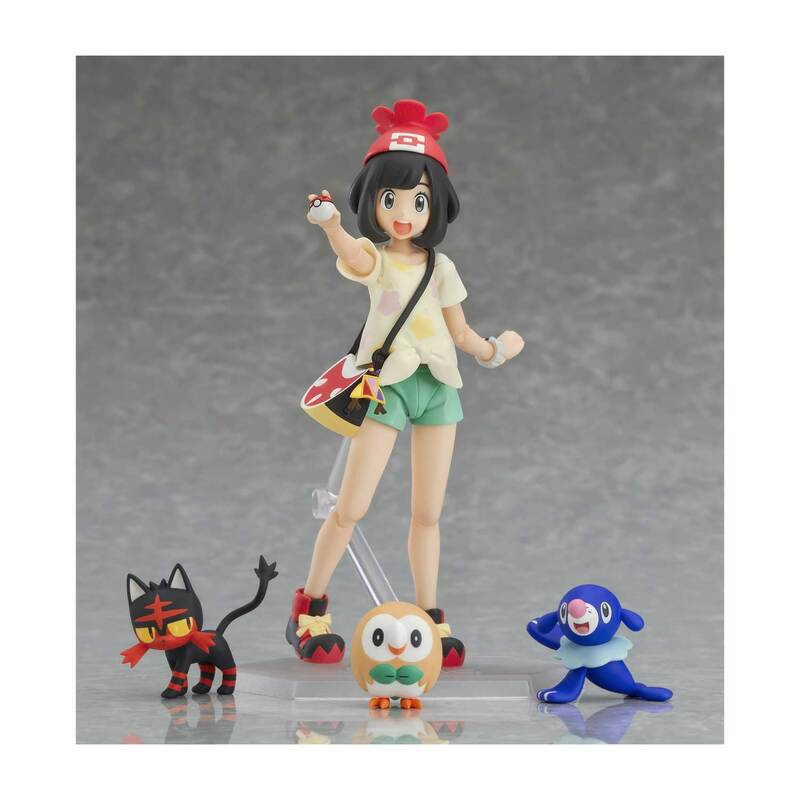 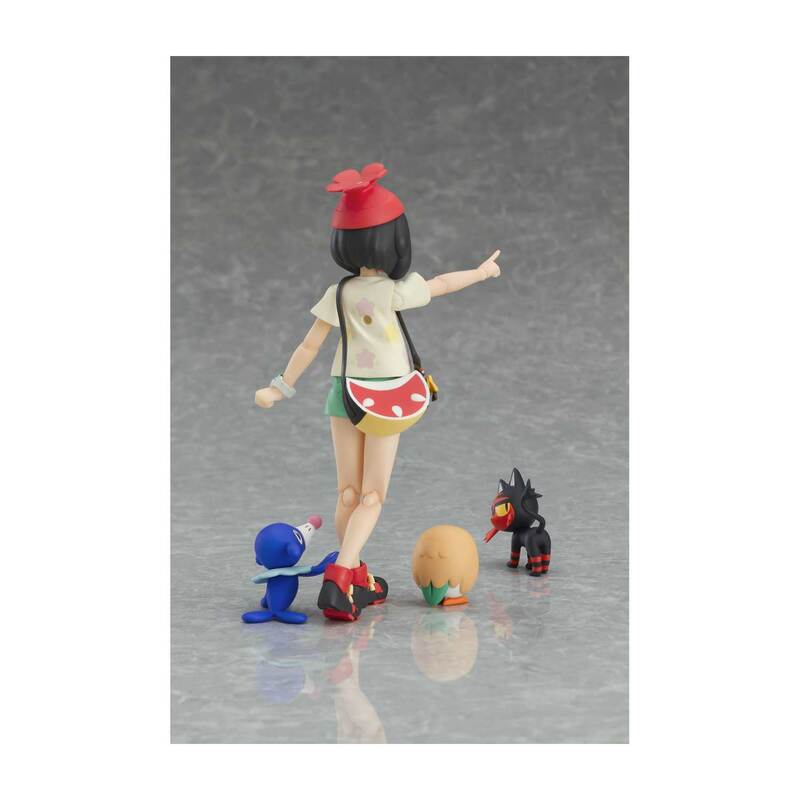 Pokémon Trainer Selene, one of the player characters from Pokémon Sun and Pokémon Moon, is here with her three Pokémon friends: Rowlet, Popplio, and Litten! 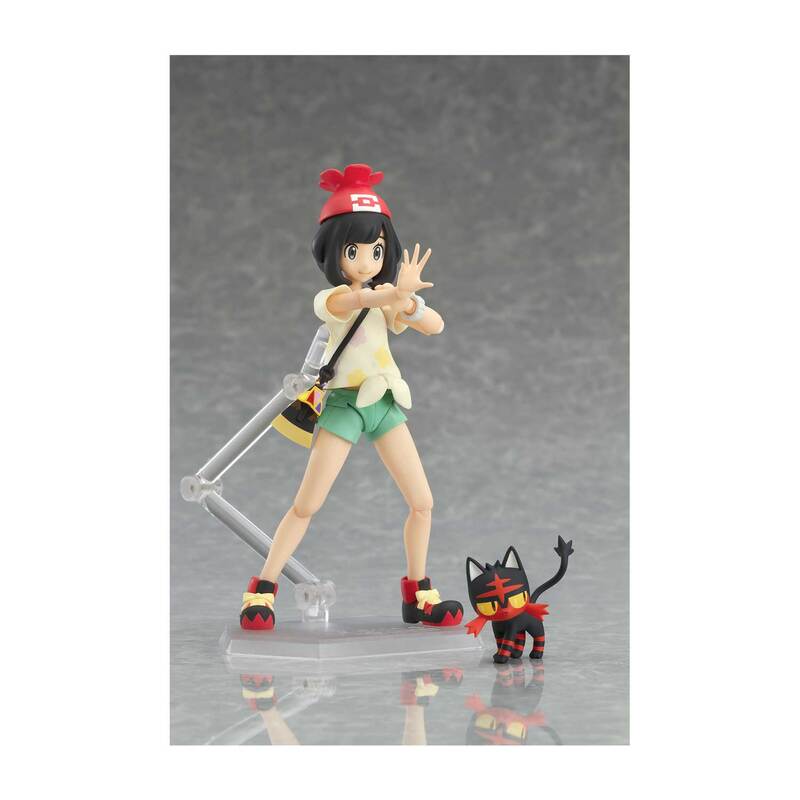 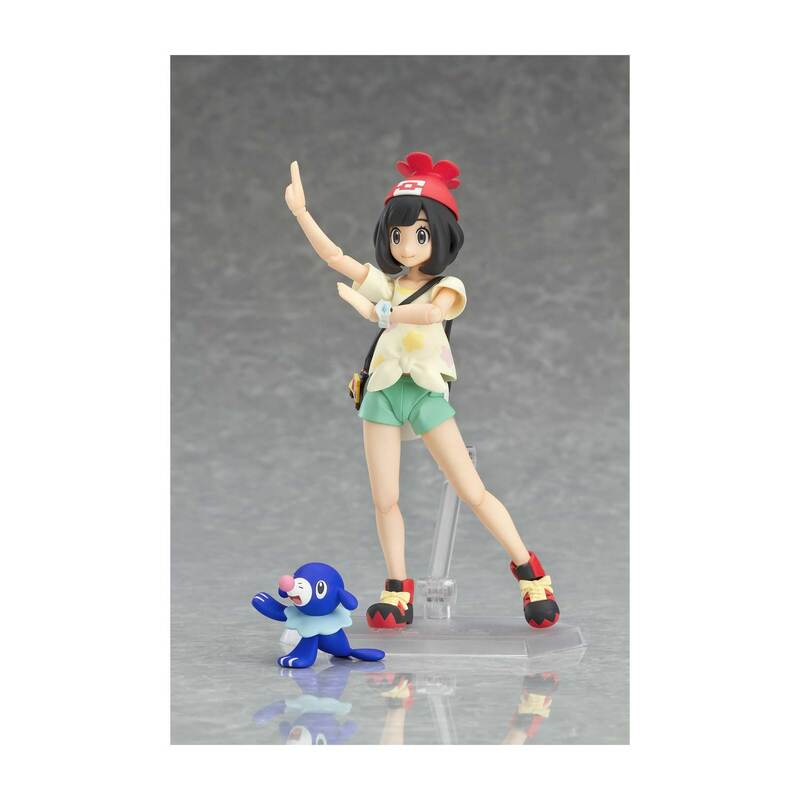 Posable, detailed, and standing over 5 inches tall, this official figma figure captures the spirit of the Alolan islands. 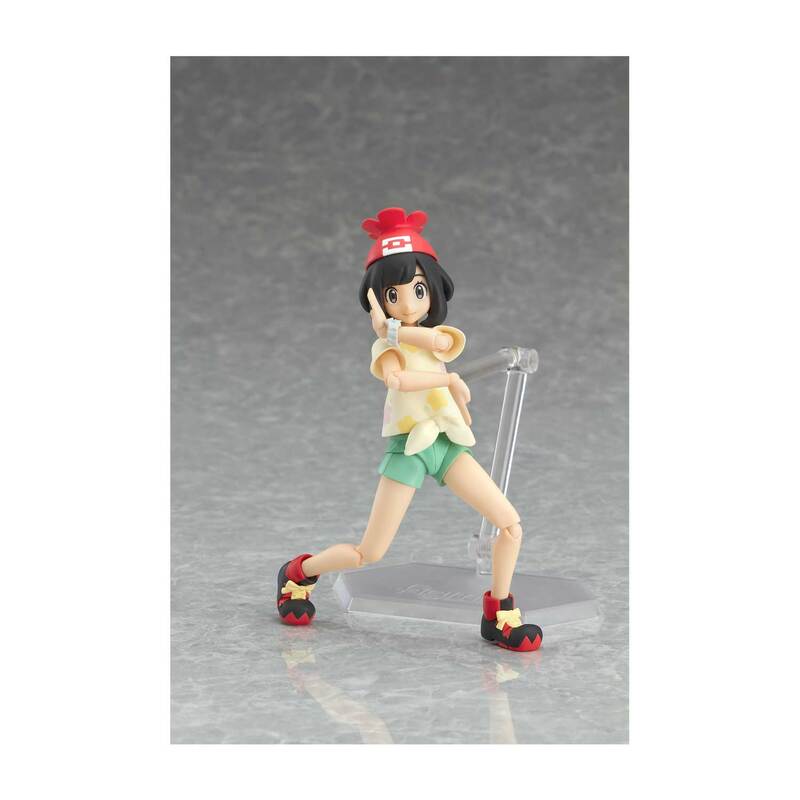 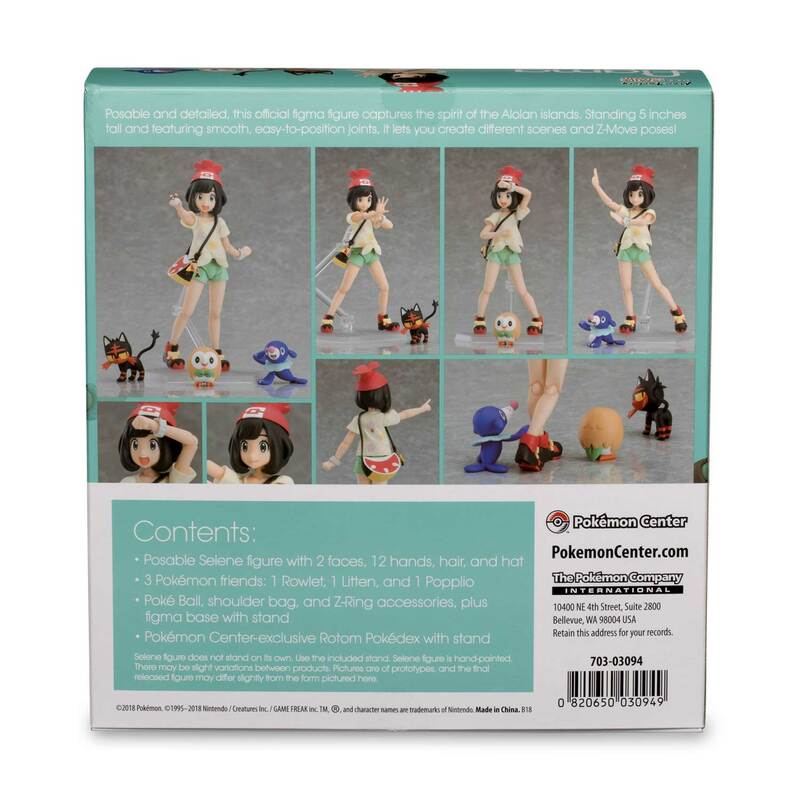 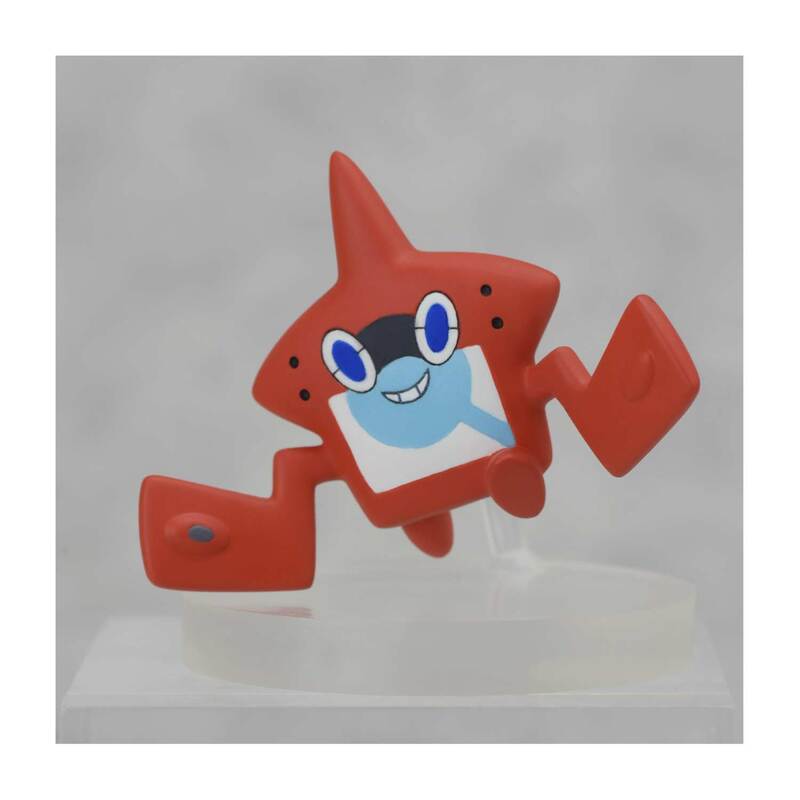 With smooth, easy-to-position joints and flexible plastic that retains its shape, the figure lets you set up a variety of different scenes and Z-Move poses!